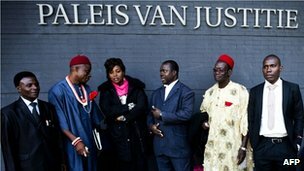 Representatives of Anglo-Dutch oil giant Shell are appearing in a Dutch civil court to face accusations of polluting Nigerian villages. (NaturalNews) I’ve been pondering this topic for weeks, trying to find the words to communicate the full impact of this realization to which we are all increasingly awakening. Everything is rigged… the stock market, the news, the food, your taxes, public schools, the health care system, and on and on. Even Lance Armstrong’s cycling victories were all apparently rigged (with doping), we’re now finding out.